Providing eight 802.3af / 802.3at PoE, in-line power interfaces and one Gigabit TP interface, the FGSD-910HP can easily build a power centrally controlled IP Camera system for the enterprises. It can work with 8-Channel NVR and surveillance software to perform comprehensive security monitoring. 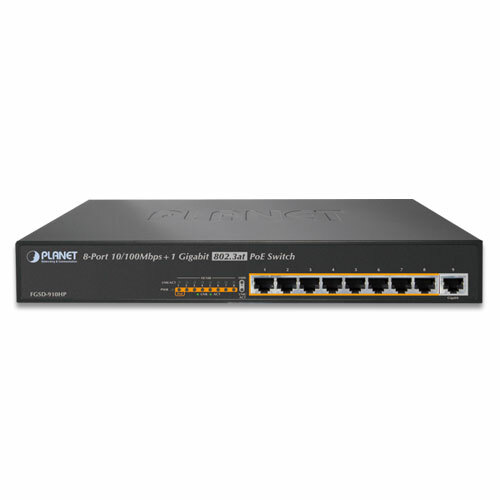 For instance, one FGSD-910HP can be combined with one 8-Channel NVR; that is, each of its PoE port can be linked to a specific 802.3af PoE IP camera for the administrators to centrally and efficiently manage the surveillance system in one site. The 1 Gigabit TP interface in the FGSD-910HP also provides Gigabit TP connection for uplink to public server groups. With the business office expansion, the additional telephones required could be installed in less cost via the implementation of PoE IP Telephony system than that of the traditional circuit wiring telephony system. 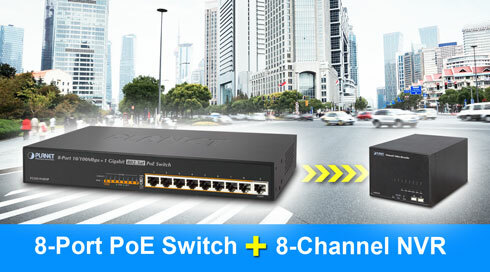 The FGSD-910HP PoE Ethernet Switch helps enterprises to create an integrated data, voice, and powered network. The IEEE 802.3af compliant IP Phones can be installed without the need of an additional power cable because the power can be provided via the standard Ethernet cable from the connected FGSD-910HP. 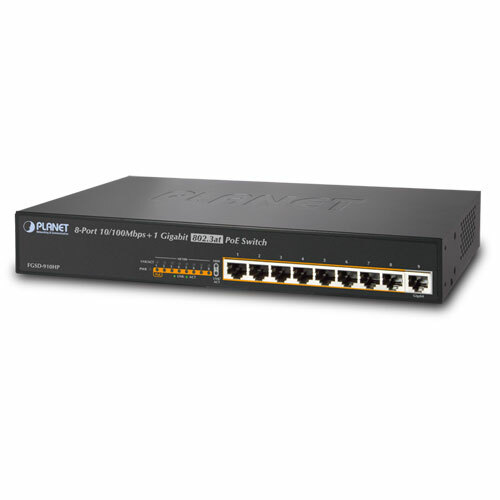 The Wireless AP group, PoE IP Phones and Analog Telephony Adapter work perfectly with the FGSD-910HP which injects power through the Ethernet cables. With the FGSD-910HP, IP Telephony deployment becomes more reliable and cost effective, which helps enterprises save tremendous cost when upgrading from the traditional telephony system to IP Telephony communications infrastructure. 2014-04-03 1.1 Change PoE budget information.